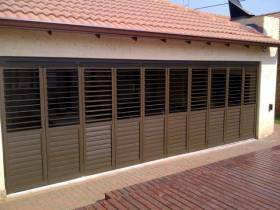 Aluminum Security Shutters Pretoria are a great window shutter option, not only to protect, but maintain the shutter beauty of your home. This stylish and quality product protects against burglars and weather. Aluminum Shutters Pretoria do not rust, making it a perfect shutter for enclosing every terrace, patio, bathroom and window. Shutters do add value to your home. Please contact us for more details on our range of Aluminium Shutters Pretoria and on of our specialists will advise on best options for you. This stylish and quality product protect against burglars and weather. Aluminum Shutters do not rust, making it a perfect shutter for enclosing every terrace, patio, bathroom and window. Shutters do add value to your home. Please call our office 012-940-8297 to arrange for our Agent and specialist to advise on best options. 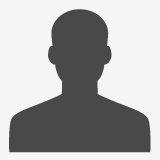 To get more details on our Aluminum Security Shutter Options contact Blinds Connection now. Aluminium Security Shutters are a great safe window shutter option to protect your home, but also to maintain the shutter beauty. This stylish and quality product protects against burglars and weather. 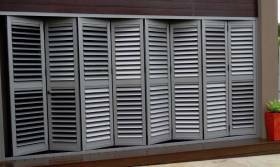 Aluminium Shutters do not rust, making it a perfect shutter for enclosing every terrace, patio, bathroom and window. Shutters do add value to your home. Please contact us today to find out more about or range of options for Aluminium Security Shutters. Aluminum Security Shutters not only protect, but maintain the shutter beauty. This stylish and quality Aluminum Security Shutters protects against burglars and weather. Aluminum Security Shutters do not rust, making it a perfect shutter for enclosing every terrace, patio, bathroom and window. Shutters add great value to your home. Feel free to contact us to find out more information regarding Aluminum Security Shutters. Shutters adds character, space and just looks amazing! Shutters transform even the most tired looking windows, add to the ambience of any Interior or Exterior and enhance your state of mind. To find out more details and to order your Shutters from Blinds Connection, contact us today! 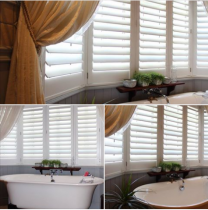 Waterproof Shutters look exactly like our standard interior range of Shutters. 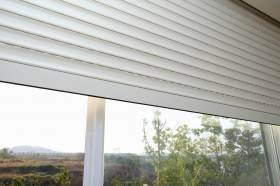 To see the different Shutter options contact Blinds Connection today! Gorgeous 89mm Louvre Brown - Aluminium Security Shutters installed for the patio. To find out more and to order your Aluminium Security Shutters contact Blinds Connection today! Shutters can make any room look more elegant as well as stylish. You get many different types of shutters. 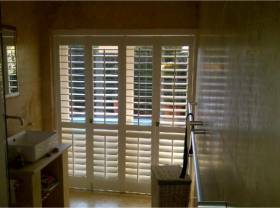 Shutters can be used in both Interior or Exterior environments to cover windows or large openings like sliding doors or openings onto Patios. 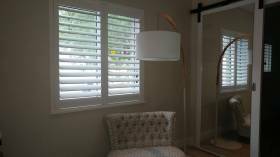 Shutters can also act as Room Dividers, and are often seen as the perfect option for Bathrooms. Shutters are extremely easy to clean and maintain. They are also unique because they allow you to decide how much sun gets into a room. When you install Shutters either in your home or office, this fixed architectural feature, does add value to you property. For more information on Shutters contact Blinds Connection today. Aluminum Security Shutters are seen as the safe window shutter option to protect, but mainly to maintain the shutter beauty. This stylish and quality product will protect you against burglars as well as the weather. Aluminum Shutters do not rust, making it a perfect shutter for enclosing every terrace, patio, bathroom and window. Shutters do add value to your home. Please call our office 012-940-8297 to arrange for our Agent and specialist to advise on best options. 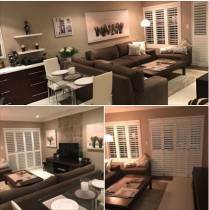 To get your Shutters in Pretoria contact Blinds Connection today! Please call our office 012-940-8297 to arrange for our Agent and specialist to advise on best options.